Congratulations are in order for Canadian production Xenophile Media as they captured the 2006 Gemini Award for Best Cross Platform Project at last week’s ceremonies in Toronto, Canada. 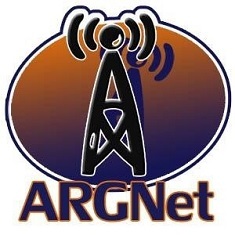 Their ARG, the ReGenesis Extended Reality, won for the first time in the prize category, awarded to the “interactive project that best “enhances the users’ enjoyment of the television program/series through such platforms as mobile, the Web and other portable devices”,” according to a press release. ReGenesis is a Canadian bio-lab drama available in Canada and in syndication worldwide. Shaftesbury Films, who produce the television series, has been forward-thinking in its attempts to connect to its audience, partnering with Xenophile to manage the alternate reality gaming model which has delivered real-time content that is directly related to the weekly series for both of the show’s seasons. In the second season’s Extended Reality, players were treated to hours of video clips which broadened the overall storyline of the show, and the show reciprocated (in a fine bit of pre-filmed trickery) by acknowledging the efforts of the players as they attempted to aid the scientists working at NorBAC labs in Ontario. You can watch the Gemini awards gala will be broadcast on Canadian network Global on November 4th at 6:30 pm PST / 9:30 pm EST. The Gemini Industry Awards, which were awarded over a three night span, will be broadcast on Rogers Television in the Toronto area, so if you want to see the Xenophile folks accepting their awards, you’ll want to tune in on for the second of the three nights, dubbed the “Gemini Lifestyle, Children’s and Youth,” which will be shown at 6:00 pm EST on November 17th.